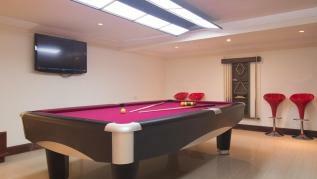 Spacious entertainment area with pool table. 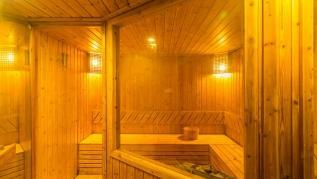 Indoor gym and sauna. 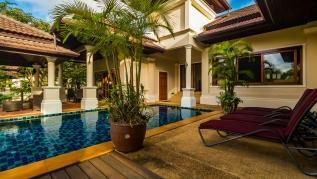 Outdoor swimming pool and patio. 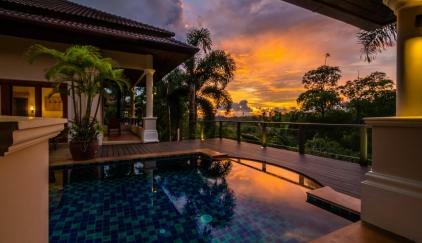 This large villa has been built on a hillside, offering panoramic views of the lush mountains and the Andaman Sea beyond. 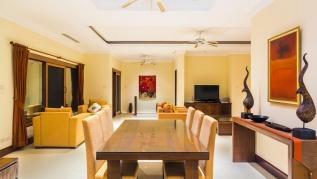 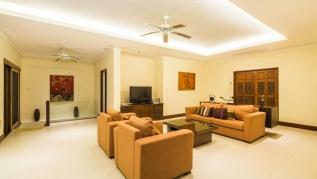 The main entrance is to the large living room that offers views of the swimming pool. 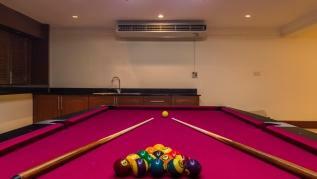 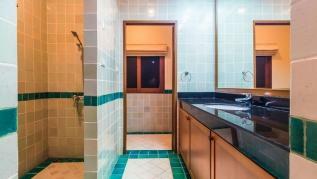 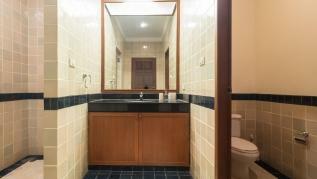 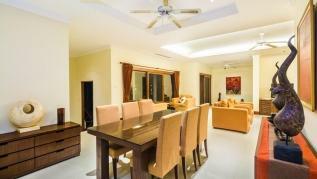 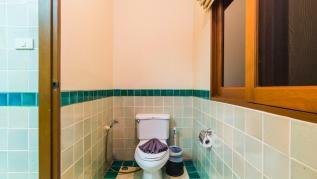 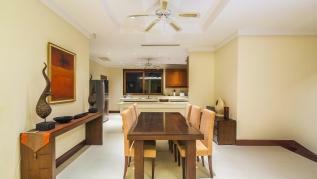 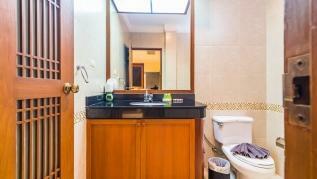 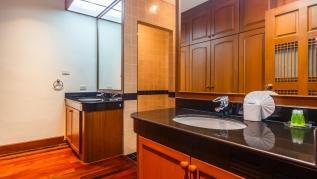 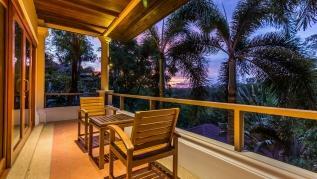 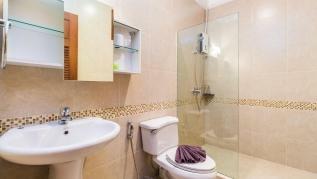 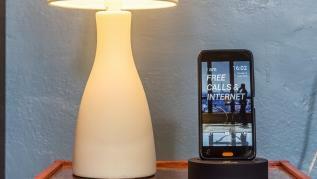 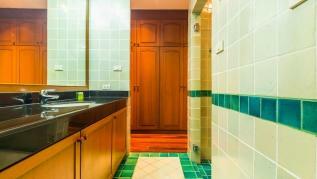 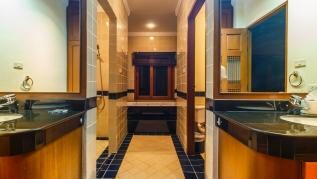 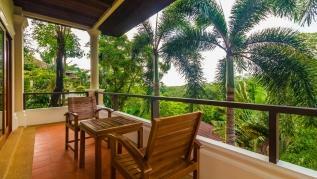 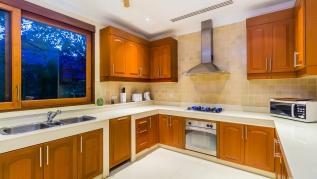 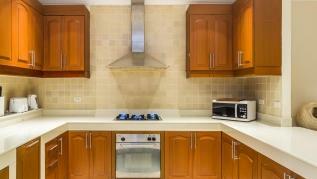 Open to the dining area and the fully equipped kitchen with refrigerator, oven, stove and all utensils. 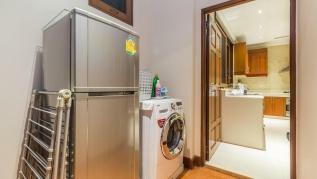 A laundry area is accessible as well for your convenience. 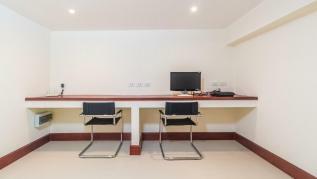 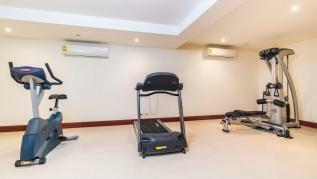 On this same floor there are 2 ensuite bedrooms, down a few steps the master bedroom also comes with a Jacuzzi and direct access to swimming pool. 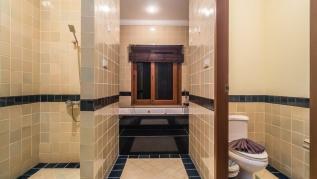 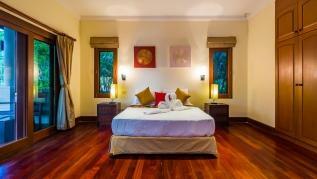 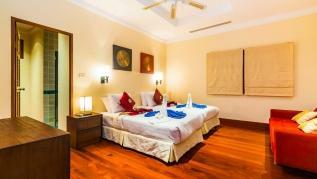 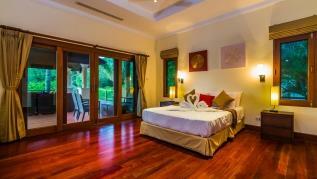 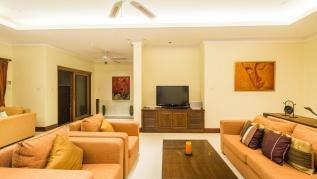 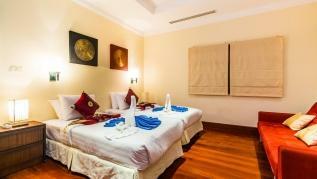 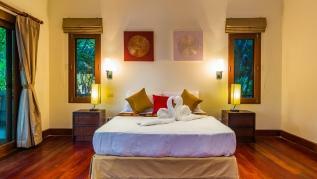 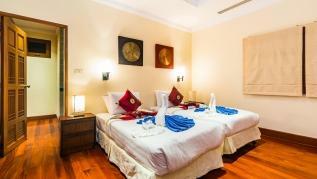 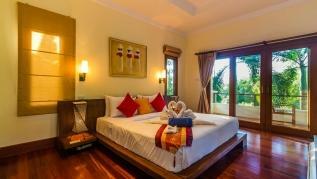 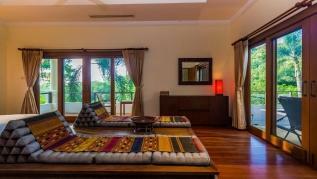 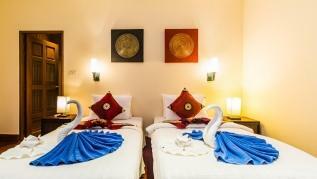 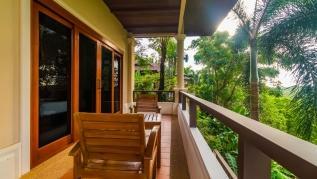 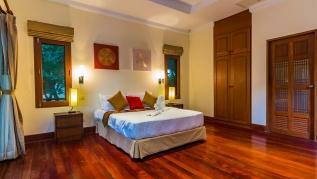 The fourth bedroom is located just across the swimming pool with direct access as well. 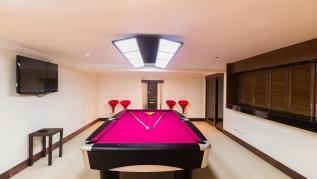 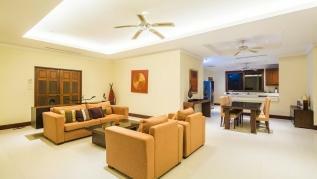 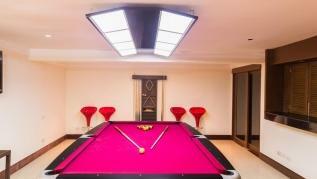 Downstairs the villa has a private gym, entertainment area with pool table, large TVs and playstation area. 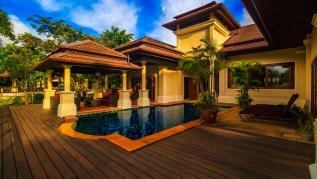 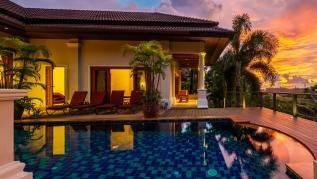 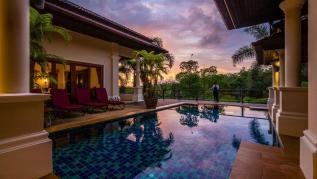 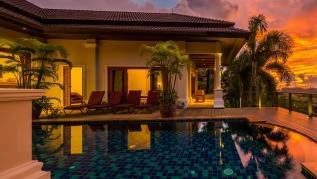 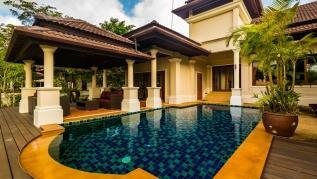 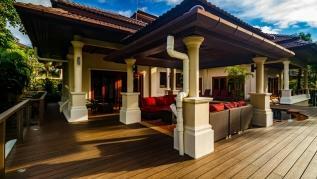 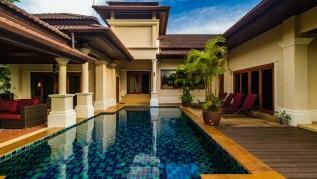 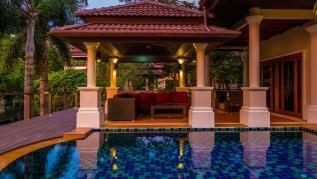 The large infinity edge swimming pool and terrace with great sunsets make this villa your perfect holiday home. 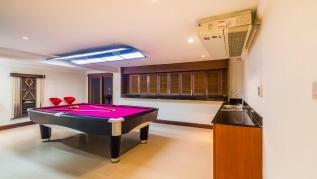 Electric usage 50 kw/day is included, extra will be charged at cost 7 baht per unit. 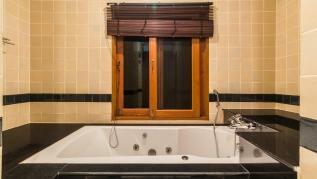 Water usage is included. 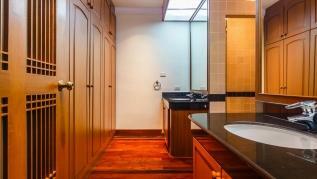 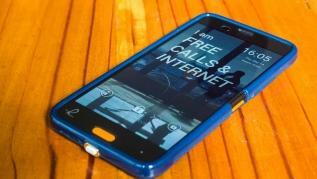 Cleaning is not included, price is THB 2400 per cleaning. 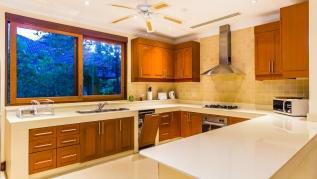 Please book your cleaning 48 hours in advance.